Increasing frost incidence and decreasing winter rainfall are always in my mind – how do I design my system to cope with them now and in the future? I’m hoping to be farming here for the next 20 years, so what’s the model that’s going to work well for me year in, year out? I’m trying to build a really resilient farming system that can minimise some of the effects of things such as frost and dry seasons, but also capture some of the upside when the seasons are good. Here at Corrigin, in the north of the Great Southern district of Western Australia, my wife Cindy Stevens and I farm about 3600 hectares. Cropping is our main game, although we have increased cattle numbers to 130 and have also acquired 400 sheep. Corrigin has a Mediterranean climate. We receive most of our rainfall in winter and we have hot, dry summers; although we’ve had some pretty wet summers in recent times. The average rainfall is about 350 mm. With most of that falling in winter, we may expect around 260 mm during the growing season, on an average basis. I’ve looked at some long-term rainfall figures and plotted trends, and in general the seasons are getting drier. We’re finding that winter rainfall has decreased significantly over the last 30 years, and even more so in the last 10-15 years. It’s pretty clear to me that our winter rainfall is decreasing. Even in the good years, they’re not really wet years: we’re just a lot more efficient than we used to be. We’re also not getting really well-defined season breaks. The rainfall can be fairly sporadic, and even late at times, so we have to manage that differently. Frost is a really hard issue to manage because it’s such an unknown. The traditional approach is to delay sowing. But I’ve found no correlation with delayed sowing and [reduced] frost damage. In fact, some of my worst frost damage has been on my latest-sown crops. When we do get favourable seasonal conditions and no frost, we’ve got quite high yield potential. Some of the information we had from CSIRO recently said that not only is the climate getting drier but the frost window is also opening up, which is a big concern. We need to adapt to that, somehow. Frost through this area is a massive cost to a lot of farmers. The problem is, it happens at the end of the growing season, in late winter/spring when the crops are flowering, so you’ve put a fair bit on the line in terms of inputs. We’re a no-till farming system. We use knife points on our seeding equipment and do very little cultivation, if any. No-tillage farming systems have been so good at improving the productivity of Western Australian farming systems. This is because you’re not cultivating and releasing moisture: you’re keeping all your residue on the surface, which acts as a mulch. This year  I’ve windrowed the straw out the back of the harvester for the canola crops. I’ll burn those windrows – just to 30 centimetres – and leave the rest of the residue on the surface. The idea is that we’re protecting the soil surface from erosion, reducing evaporation and keeping more moisture in the ground. I’m also doing a bit more chemical fallowing now, where I’ll store moisture in one season by just keeping the paddock free from weeds. Then you tend to grow a lot higher yields in the second season by doing that. 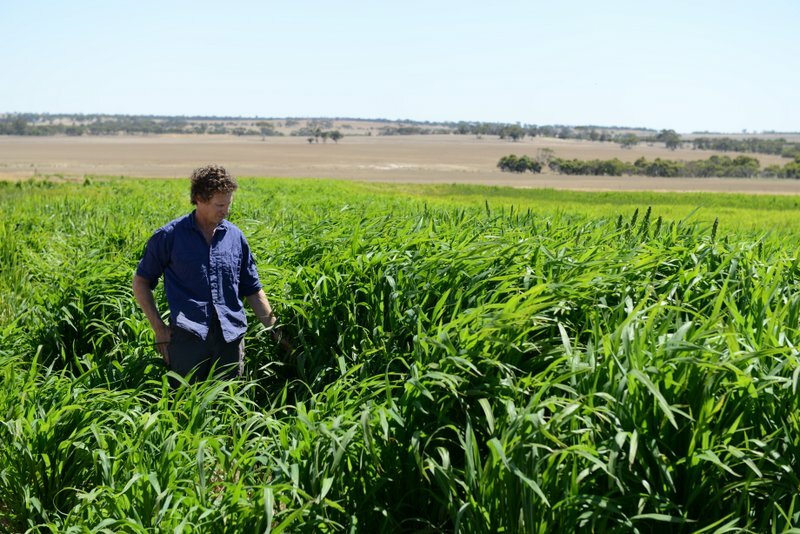 Weed numbers run down quickly with a chemical-fallow phase, which allows the paddock to be cropped with less weeds in the future. Herbicides go hand in hand with no-till but, because of our reliance on them, herbicide resistance is now becoming an issue. No-till is a really good system, but we’ve got to think outside the square in terms of how we can manage weeds using tools other than herbicides, and that’s what we’re trying to do here. In recent years I’ve started growing millet on chemical-fallow areas, as it stores moisture during the winter. Millet is a summer crop, so by sowing it in September you can then use it with the cattle. There are a couple of reasons for that: you’ve not only got chemical fallow running down weed numbers quickly, but it’s also non–frost susceptible income because it’s a summer crop, and you’re grazing it with the cows, so there’s a bit more diversity in the system at a time of year when there’s not a lot of green stuff around. If we’re going to keep getting more summer rain and more frost, we have to open up our options to growing crops such as millet that is not susceptible to frost and perhaps uses some of the summer rain that we’re getting. We used to lease a low-lying farm east of Corrigin which had heavier soil types – a red soil, compared to these sandy soils. I tried lots of different things to improve the productivity of that farm but, in the end, with dry seasons and frost, it was performing a lot worse than the sandy soils. So we relinquished that lease. It just wasn’t profitable. Now we’re focusing our efforts on this higher country with lighter soil types. It tends to be a bit more efficient when it’s drier. It was a strategic decision to get out of the other lease and focus my efforts on a soil type that was more resilient with the change in seasons and so on. Certainly, our profitability has increased since then. Over the last few years, we’ve been getting a contractor to do soil surveys on the farm. I’ve had most of the home farm done now. You can get a very good idea of your soils’ characteristics. This information is important in making decisions, particularly as we adopt variable-rate technology. To be more efficient with your inputs over your land, you need to have some good information about where that variability exists in your paddocks, and soil surveys are a good starting point. You can then start finding relationships between crops and soil types. For example, canola tends to prefer gravelly soils or medium soil types. It can be a lot harder to grow canola on heavy soil types or really light soil types. Once you’ve linked the soil classes into a GPS, you can be very accurate about when and where you change your input rates. It’s about $20 per hectare to get the surveys done. 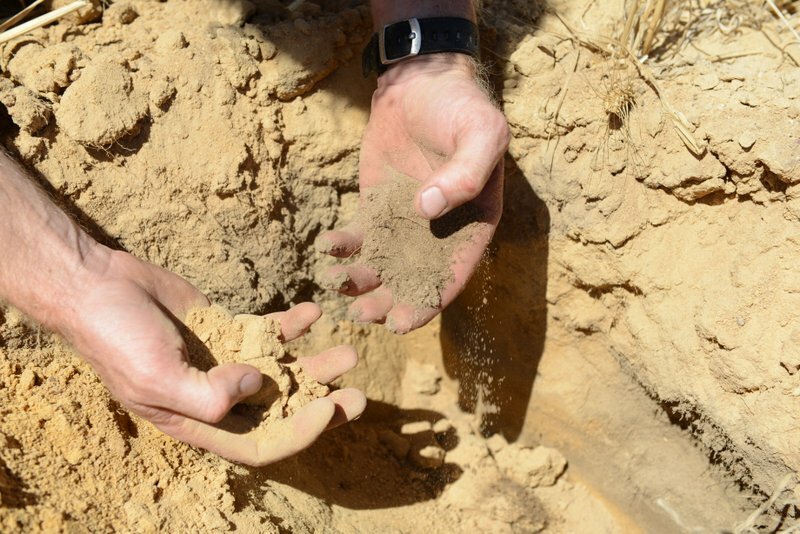 Lime can cost up to $60 to $70 per hectare, so if the soil information tells you that only half the paddock needs lime, you can recoup the survey expense pretty quickly. All that survey information sits on my computer now, and I refer back to it regularly. What I’ve found, by looking at my performance and different crop types over the journey of my farming career so far, is that barley’s been the crop that keeps winning from a gross-margin point of view. I start sowing very early and spread my seeding window out. We grow a longer season barley, in general. That means we can sow early, make use of the moisture there and know it will still flower in a reasonable window. Barley has a higher cold tolerance than wheat: about two degrees. You still get frost damage with barley, but you don’t tend to get the wipe-outs that you can with wheat. The worst case is that you might lose half the yield – say, from 2 tonnes down to 1 tonne – but in wheat you can lose 80 or 90 per cent of the yield at times, which puts a bit of a floor on your production. So, we’re trying to minimise the downside. We’ve been sowing very early, particularly with longer season barleys with very high yield potential. The price of barley is quite competitive with wheat nowadays too. We also find that our yield is higher with barley, and we have a bit better coverage in severe frost events. I do rely a fair bit on dry-seeding crops. Last season I dry-sowed a lot of canola, but we had only small rainfall events that year, and canola’s not very resilient because it has such a small seed. We ended up with quite a patchy establishment of the crop. I started dry-seeding barley and waited for rain for the canola, and this year  I’ve done a lot better. We’re getting very good at growing crops in soils with very little moisture, and we’re pushing them to their limits when they’re young. If you leave it all until that 1-inch rainfall, it might be late May or early June. Then you’re really pushing hard to get your crop in good time. In the past, we have almost killed barley crops by sowing on 5-10 mm of rain and not having any follow-up rain in the next 4-6 weeks. They didn’t die, so we’re finding out how far we can push that. I have increased my cattle numbers to add a bit more diversity to my business, so I’m not so reliant on just cropping. Cattle don’t get frosted, so they’re a source of income that I can rely on, in a way. And cattle prices are pretty good considering the demand that’s coming out of Asia, so that’s working quite well. We’ve bought some of our own sheep, starting with 400, just to see how they go. There’s potential there to make reasonable money out of them in the future, with countries such as China and India demanding more meat. I think sheep offer some really good diversity in your business to manage seasonal variability and perhaps, in the future, even climate variability. Sheep may not offer the [highest] potential income on a good year, but their income seems to be more stable and perhaps a little less affected by climate. It’s often about trial and error: I’m always making mistakes, but I’m always learning from them as well. That’s where on-farm trials are so important. We try things ourselves on our farms, give it 2 or 3 years and then, if it looks like there’s a trend there, we adopt it. I’m vice-president of the local Corrigin Farm Improvement Group, and I’ve done lots of trials for the group here on my property. I think grower groups are important vehicles for testing ideas and exchanging information. We’re ultimately about trying to improve our farming systems. Increasing frost incidence and decreasing winter rainfall are always in my mind – how do I design my system to cope with them now and in the future? We need that information to want, or to have motivation, to adapt on our farms. As farmers, we may not feel like we can make huge changes globally, but we can make changes locally. Some businesses will probably fail because they just won’t keep up with the changes in the climate. It’s pretty clear to me that our winter rainfall is decreasing. Even in the good years, they’re not really wet years – we’re just a lot more efficient than we used to be. I think that’s the important bit – being flexible with our decision-making. 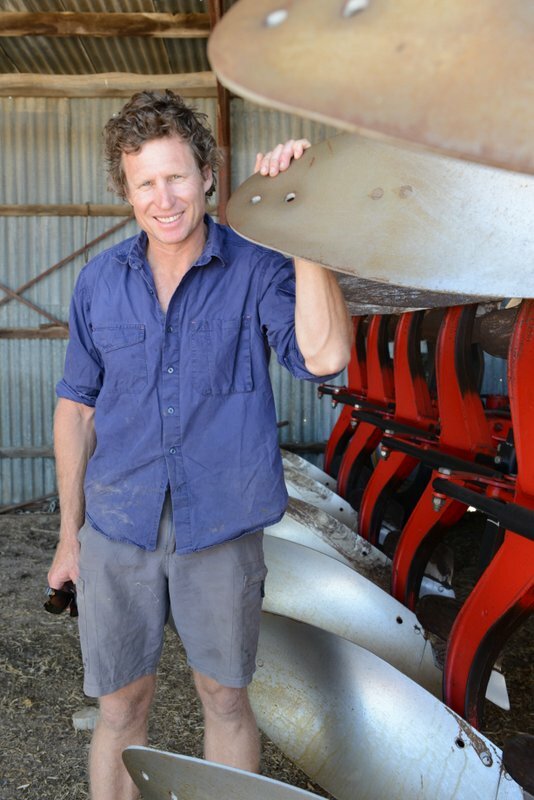 Simon uses no-till farming to reduce cultivation, conserving moisture. 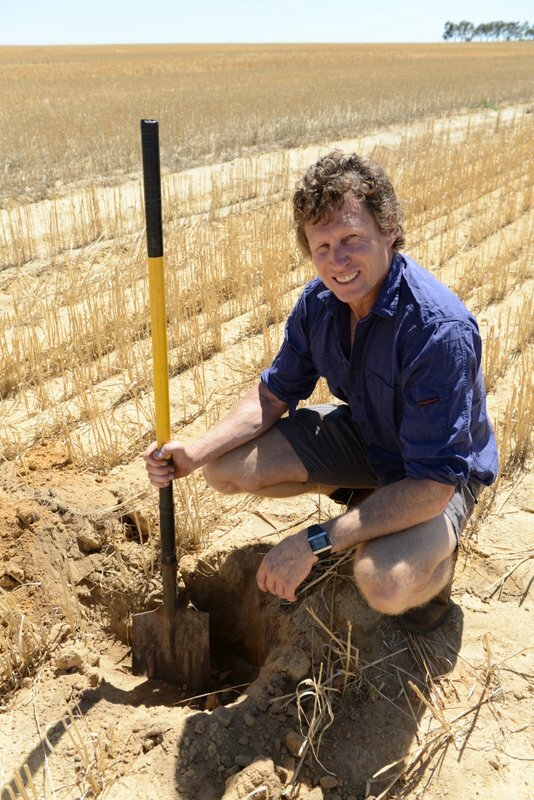 Simon is hosting a trial conducted by a private consultant and the Department of Agriculture and Food (Western Australia) looking at how mouldboard ploughing can affect soil temperature and, therefore, frost in his crop canopy. 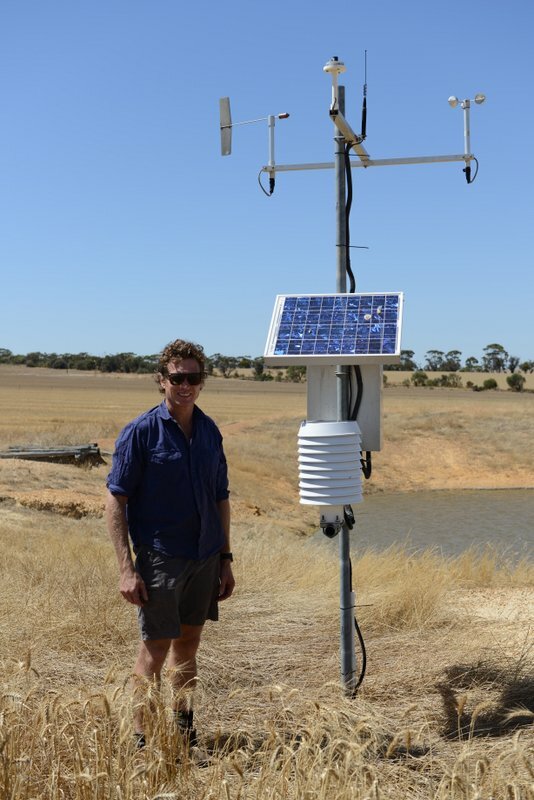 The weather station sends data about wind, humidity, rainfall and temperature automatically to the web.